The heating elements are welded onto a flange conforming to standard EN1092-1 or ASME B16.5, with dimensions from DN125 (5”) to DN500 (20”). ATEX/IECEx certified flange heaters are equipped with safety devices (thermostats, fusible sensors, thermocouples, etc.) 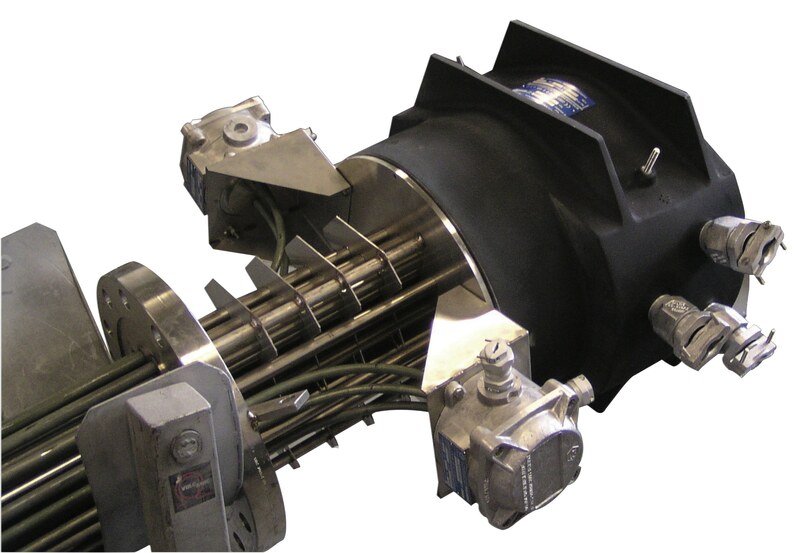 for the measurement of the temperature in the fluid or of the heating elements, and optionally, a control device. 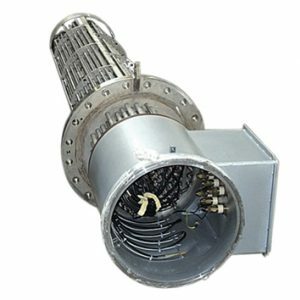 Vulcanic flange heaters are designed and manufactured as part of our standard range or as a customised solution for installation on vessels conforming to European directive 2014/68/EU (PED).